Contrary to many predictions, it appears that the UK jobs market has not suffered as much as might have been expected in the approach to Brexit. Although the Brexit date is looming with still no certainty of a deal for the UK, unemployment is at a record low, with vacancies across the country skyrocketing. The Guardian have reported that the skills gaps at UK companies have given experienced workers power to demand higher wages, and has made skilled workers from outside of the UK even more desirable. Internships are key in helping internationals gain a foothold in the UK jobs market, and schools like Cranfield School of Management are pushing their international MBAs to succeed. 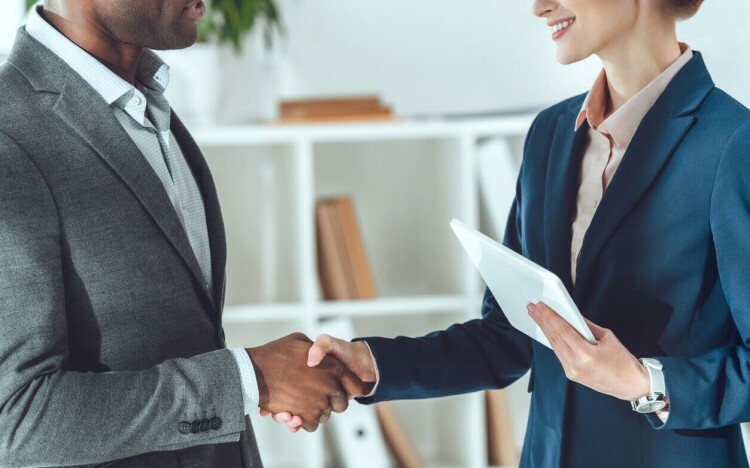 Between April and September each year, students on the MBA and MSc in Management programs at the school take part in internships with one of the school's corporate partners, which hail from a range of industries. Getting this kind of key corporate experience can be a huge asset when entering the jobs market later on. Siddartha Chatterjee graduated from Cranfield in 2015 from the full-time MBA, having joined the course after several years working in tech management in India. After years of doing the same work in the same place, Siddartha felt that it was time for a change. “It was the only experience that I had and I was feeling a bit bored—I wanted to do something a bit different!” he says. He was attracted to Cranfield’s high positioning in the global rankings—the MBA is ranked eighth in the UK by the Financial Times, 61st overall—and wanted to move his career to general management in London. Siddartha had worked in England before in IT, so he knew that there wasn’t a language barrier to overcome, and he had enjoyed his experience. “[I knew that] my prior experience would be useful, and I was thinking that, in the worst-case scenario, I didn’t mind [if it didn’t work out]—the experience would help me get a job elsewhere!” he says. Siddartha was an active member of the school’s consulting club and focused on developing his leadership skills, taking advantage of the school’s emphasis on combining theory with practice. For instance, the MBA includes several compulsory modules that encourage hands-on learning; for example, International Business Assignments that take students overseas, and a compulsory ‘Leadership in Action’ module. In fact, it was the internship that he got through Cranfield School of Management—a five-month stint as a consultant at telecom firm EE—that helped prepare him for his current role in management at Deloitte in London. “I had been nervous coming out of my MBA, because people had already started thinking about how they would get a job, because you only get three more months [on your visa] after finishing the MBA,” he recalls. Siddartha emphasizes that an MBA isn’t just about the immediate return on investment; the skills you gain are of long-term benefit in your career. He also recognizes that, for many students in a similar position to himself, an MBA can be a big risk. He stresses that if you are going to take the leap into an MBA, an internship program like the one at Cranfield School of Management is essential. Siddartha's advice for prospective MBA students? "Seek out internship opportunities immediately and be on the lookout for job opportunities from quite early on," he says.